The next meeting of the Vatican chiefs of dicasteries, scheduled for around the end of this month, will provide an overview of the streamlining of the Curia project. The Council of Cardinals, which next meeting is scheduled for December 9 to 11, wants to put into effect the first concrete change, in order to show that they do not meet just to talk, but also to act. This effort is blessed by Pope Francis: the time of observation has ended, the time for action has began. Within the Sacred Walls, the atmosphere is that of an internal split. Someone has described this split as a ‘civil war’ between conservatives and progressives, others speak about ‘continental lobbies’ (i.e. the American lobby; the Maltese lobby). It’s nothing of the kind. The scenario is more nuanced, as evident in the recent discussions at the Synod of bishops. The group of cardinals who acted to defend the doctrine, though with different grades of nuances and actions, was comprised of bishops deemed conservative and bishops deemed progressive. On the other hand, there was a group who privately called for «a Pope more courageous in opening up (the Church)», which worked as a real lobby in parallel (the lobbying for the next synod would have already began), without taking into consideration the doctrine, and how this very same doctrine is part of evangelization. Pope Francis’ position is yet to be assessed and understood. Pope Francis has always warned to watch out for a ‘worldy Church’, and he had set as his pontificate’s goal that of fostering a missionary Church, outwardly oriented, but maintaining some fix points in the Gospel, yet preferring points dense in popular piety. At the same time Pope Francis has also been the engine of an internal reform seeking efficiency more than evangelization. And efficiency is a very worldy aspiration. The Curia reform is being carried forward in the name of this efficiency, and of the rationalization of expenses. At the beginning, the Curia reform was intended to make some adjustments to the Pastor Bonus, the Constitution which regulates the functions of the offices of the Roman Curia. Then, it was a substantial rewriting of the Constitution that was contemplated – even if only a draft of its introduction has been completed and it must still be discussed. In the meantime, it seems that cardinals are willing to implement some adjustments to Pastor Bonus and to establish new dicasteries, almost a parallel Curia that will replace the existing one step by step. This way of proceeding would explain how, while the Prefecture for Economic Affairs is still operating, the Secretariat for the Economy has been established. The Secretariat for the Economy, together with the Council for the Economy, functions as a sort of ‘ministry of finance’, and has been the most active Vatican body in pursuing reforms, taking the reins in the management of these issues. Last week, the Secretariat published a handbook about financial management, and delivered it to all the Vatican bodies with financial responsibilities: the new procedures contained in the handbook will take effect January 1, 2015. In the meantime the Vatican accountants will be trained on the new accounting principles. The reform is needed to generate profit, as Cardinal George Pell, Prefect for the Secretariat of the Economy, has candidly explained. 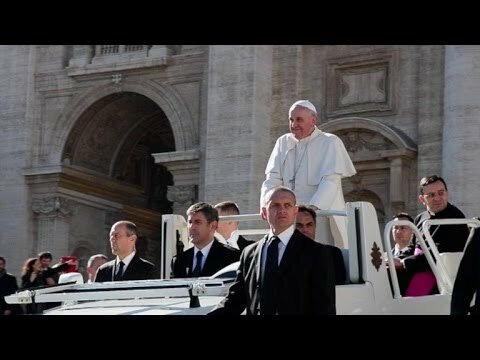 For this purpose, part of the reform process has been to establish a Vatican asset management function, which would rely on the expert advice on investments of an external agency (it is rumored it will be Black Rock, linked to Goldman Sachs) to get the best possible returns on the Vatican assets. Always in the name of profits, it was decided not to renew the collective-bargaining agreement with 500 artisans who produced the parchments with Papal blessings for the Papal Almoner. The agreement foresaw a fixed rate of payment. When the Almoner announced the agreement would not to be renewed, it was clear it wanted to have the production done in-house or to contract whoever it wanted, in order to increase profits and to make them availaible to help the poor. In the name the of supporting the poor, the main features of the small Vatican world are perhaps going to be destroyed. It was a familiar and familiaristic world, with a closed economy that consented all those around that world to live in a dignified way, and also to help people. There was no social exclusion, since everyone was helped. Vatican salaries could be lower than might be expected (although they were tax-exempt), but they were fair in purchasing power thanks to the internal supermarket, the Annona. The Institute for Religious Works (the so-called ‘Vatican bank’) invested on solid assets that were not only safe but also ethical. They generated modest rates of return, but this was how the Vatican bank sustained Religious Congregations – also providing them banking services for free – and generated profits to sustain the Catholic World. Even the contracts for work inside the Vatican, adjudicated to trusted companies, consented a certain sense of safety in the investments based on mutual trust, a trust that is missing when contracts are assigned through competition. Certainly, every system has its problems, and the gangrene in this one appeared with the Viganò’s case and the Vatileaks scandal. But it was the way the system had been managed, and not the system itself, that should have been questioned. Yet, the attacks were directed to a system that had been proven to be good in the past, and which experienced its dark moments when the traditional ‘old school boys system’ did not work properly. 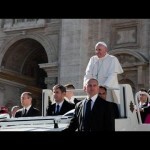 It is a whole world collapsing, step by step, under Pope Francis’ revolution. The secular media welcomes each and every novelty, as if the Church before was a corrupted realm which the Pope is finally cleaning up. The Vatican itself seems to be willing to project this image. Vatican communiqués always stress that everything has been done following a clear wish of the Pope, from the trial for alleged pedophilia within the Vatican Walls to the former nuncio Wesolowski’s to the decision to change the rules on bishops’ resignations. This last point deserves further examination. Paul VI had asked bishops to resign once they turned 75, and did the same with cardinals heading Vatican dicasteries. The members of Vatican congregations’ mandatory retirement age was instead set at 80. Pope Francis confirmed this rule, but with a couple of slight changes. First: bishops in controversial situations are encouraged to leave their post for the good of the community, even though many bishops are unfairly attacked (so, will public opinion have a say on the selection of bishops?). The Pope, however, was very clear: the ‘rescriptu ex audientia’ through which the decision was made public also added that the Pope himself may decide to ‘resign’ bishops in controversial situations. Second slight change, the mention of cardinals who hold posts of pontifical appointments, who must now also resign once they turn 75. This includes the archpriests of pontifical basilicas and cardinals patrons of the knights’ orders (like Cardinal Paolo Sardi, currently Patron of the Order of Malta, who had just turned 80 and will have to leave his post to Cardinal Raymond Leo Burke). The list also includes the current Camerlengo, Cardinal Tarcisio Bertone, Secretary of State Emeritus and often the target of vicious criticism. Cardinal Bertone will turn 80 next December 3, and it is easy to see why is it that he has nevertheless been mentioned in connection with the vortex of resignations and demotions (those who vacate a position in a dicastery also automatically lose other positions linked to it, like membership in Congregations). The fact that Cardinal Bertone had been mentioned in this group – Cardinal Parolin did so in an informal conversation, after a solicitation by journalists – must be read as one last slight to the most criticized figure in Benedict XVI’s papacy. In fact, there is the feeling that the first goal of the ‘demotion part’ of Pope Francis pontificate should be that of dismantling the Cardinal Bertone Secretariat of State. The Pope Nov. 8 appointed the Archbishop Dominique Mamberti, until then Secretary for the Relations with State and in charge since 2006, to the Apostolic Signatura. A Canon and Civil Law Expert, Archbishop Mamberti had a ‘soft’ exit to a cardinal post. Archbishop Paul Gallagher, former nuncio to Australia, who seems to be appreciated by Cardinal Parolin, while he had reportedly some grief with Cardinal Pell (the two Secretariats that are always more polarizing the Vatican power). This apparent dismantle of the Cardinal Bertone’s work should let us look back and try to understand why Benedict XVI’s papacy has been so heavily criticized by the secular world. Benedict XVI was very clear in his magisterium, and he succeeded in repositioning the Church at the center of the cultural debate from where she had been displaced in the emotional waves of the last years of John Paul II’s pontificate. The Pope of Reason quietly and clearly showed the world where it was that the challenges to the Church laid – from the defense of the family and human life and dignity, to the application of the Social Teachings of the Church, all imbued with the notion of Truth and a clear stance against relativism – and faced these challenges step by step. Benedict XVI’s reforming effort deserves to be highlighted. He restored discipline in the observance of admission criteria for seminaries, and reshaped the modus operandi of the Roman Curia, basing it on the collegiality he had already put into practice when he was prefect of the Congregation for the Doctrine of the Faith. His reforming effort also elevated the Holy See’s profile in the international scenario: under Benedict, the Holy See moved away from the privileged relationship with Italy and gained more impetus in international relations and higher recognition as an authoritative voice in international conferences – proof of this is the approach followed with respect to the reform of the Vatican finances, done with an international outlook rather than a side glance to the Italian neighbour. It is difficult to make Benedict XVI the target of strong criticism, because he was so clear and linear in his decisions. An easier target is his former right hand, Cardinal Bertone, who may have made mistakes as everyone does, but who was always loyal to the now pope emeritus. A return to attacking a Secretariat of State who is out of the radar screen, and the notion, continually raised, that Pope Francis is reshuffling the Curia by chasing ‘ratzingerians’, is a clear sign of how the secular media wishes to definitely close the door on Benedict XVI’s papacy and push for a more ‘media friendly’ papacy, easy to explain in secular terms. Yet, Pope Francis highly praised Benedict at the unveiling of the pope emeritus’ bronze bust at the Pontifical Academy for the Sciences. Benedict XVI may be considered a sort of “hidden advisor” to Pope Francis, since Benedicts’ writings and ideas are still a great inspiration for the Church. To what extent will Pope Francis be inspired by those ideas is yet to be seen. Until now, the Vatican reform had dealt with many internal moves and the sole economic structural reform which is yet to take shape. There are many internal struggles, and they don’t just deal with a mere ideological clash, as the media would have us believe. It is a clash of mentalities. Pope Francis has always maintained that the first reform is that of the heart. Where will he stand in the clash? 16 Responses to Vatican, the time for reform. What is the Pope’s position? You write: “And efficiency is a very worldly aspiration”. I feel it is a Christian virtue with regard to oneself and others in the larger community. “One of the greatest challenges facing the economy is to achieve the most efficient use — not abuse — of natural resources, based on a realization that the notion of “efficiency” is not value-free”. Isn’t the proper spelling “worldly” rather than “worldy”? This new pontificate is very confusing. The talks go in circles. Nothing is very clear. Much distress and confusion is being caused. Just what do we believe anymore? What is the truth anymore? It is as if the Communists have taken over and are purging the church of those who are faithful to the teachings of Jesus Christ. They call evil good and good evil. This what is going on in the Church today is much the same as with Humane Vitae! Very few adhere to the teaching on contraception! Mostly because the bishops and priest rejected the teaching. The secular press has its own, non-theological, political interpretation of each group, and “conservatives” like yourself accept the secular description of the party you oppose while quite rightly objecting to its decription of yourselves. This is because you have not begun to understand their argument, and the secular descrition is a good stick to beat them with. The theme of the Synod was “the family in the light of the new evangelisation”. The issue is not the Catholic doctrine of the family, which both groups agree on, but its pastoral application. How important in our order of priorities are the rules which give legal force to that teaching. One party, called conservative, equates the teaching and the rules, so that an effort to change the rules is an effort to change the teaching. The other party distinguishes between the teaching and the rules. Both parties appeal to Tradition, but those who want change include in Tradition the tradition of the Eastern Churches with their distinction between acribia and economia. There is an ecumenical issue and an issue on the status of the rules in relation to the Catholic teaching. If you have ever worked among the por in South America, you will have learnt to ignore the rules and teach the mercy of God, welcoming all kinds of people whose position makes it impossible to follow the rules. Then, little by little, you introduce the rules, until you have a “normal” Catholic community. You leave out God’s grace. Those is South America, or anywhere on earth, can follow the gospel without denying Truth. One cannot collectivize the poor in Latin America or anywhere else, except to say that each person has free will. Even the poorest of the poor are capable of heroic virtue. To say otherwise (a) patronizes and treats them as mere instinctive animals; (b) denies the effects of God’s grace; (c) concedes massive incompetence on the part of Bishops and Priests in imparting even basic Church teaching on fundamentals and (d) wrongly confuses humility (poverty in spirit) with lack of education, material means and standards of self-discipline. Amen, Gerhard Wallbank. Very well stated. Pope Benedict XVI is my pope. I can not follow a man who does not believe the pope should be the leader, yet he uses the power of the office his dislikes to dismantle the Catholic Church and her teachings. It seem to be somewhat hypocritical to do so. Since he rejects the papacy he has no authority to change it. Pope Benedict is our pope. We do not know–from the pope’s mouth–what is position is on many issues as he is not clear about them. But we DO know the opinions of many of the men he chooses and surrounds himself with and that is not comforting at all. If the Church ever accepts gay marriage and or abortion at any point for any reason that is the day that I am out of there – these for me are two major and pivotal and issues in Christianity today! Most of the other issues are really petty and quite open to debate. Most of these side-bar issues are fundamentally man-made protocol imho. I know there are hardline Catholics who accept no change whatsoever and I do not necessarily agree with them from where I am sitting! Francis is a Progressive. Much like the Progressives in the U.S. government, he sees VICTIMS all around. In the realm of sexuality: divorced and re-married are victims, practicing Homosexuals are victims, fornicators are victims, etc, etc. Of course, victimhood doesn’t end there; but, matters of sexuality are the hot buttons of the modern West. They are the most devisive. It’s all about the environment and opportunity. Things must now be seen through the lens of Materialism. No Faith required there. Individual responsibility is passe. Ergo Hell and sin need never, ever, be mentioned. (The Good God and His Mercy must always prevail. Perhaps, even this, is transitional.) The devil is OK (evil will be acknowledged), but he lives in a vacant abode. Really? What the Progressives are really all about is SURVIVAL. And, the here and now. For the clerical Progressive, Christ is the Way, the WARM and FUZZY, and the Life. Kinda. The WAY to Mercy is through repentance—a truth rarely voiced and, therefore, seldom heard. I positively chortles at the phrase “Bertone’s work.” It may be that most of the posters who defend Bertone and Benedict’s administration are unaware of the huge scandals caused by Bertone in Italy. Poor Benedict, he placed his trust in the wrong man and refused to believe the warning voices of several cardinals. “The time of observation has ended, the time for action has begun”. This is exactly what St. John Paul ll and Pope Benedict XVl were doing with the reform of the reforms. But now that the dark ages of the 60′s and the 70′s are once again the rule, the factual reality is, No real action is desired or welcomed, we must continue with perpetual observation in order to get nowhere forever. I miss MY POPE! who is Benedict XVl. Canon 322.2 is about a Pope resigning and what makes it valid or invalid, at the end it states, “But no one is required to accept it”. I will practice my rights according to Canon Law and will not accept the resignation of the Supreme Pontiff, the Vicar of Christ, Pope Benedict XVl.